The Court of Urgent Matters is expected to issue a verdict this week in the lawsuit that demands the disbanding of all political parties with a religious platform. The lawsuit was filed by Tarek Mahmoud, legal advisor of the Popular Front against the Brotherhoodization of Egypt, established in 2012 after the Muslim Brotherhood came to power. The article also says political parties can only be dissolved through a court order. Mahmoud demands that the Supreme Elections Committee, which will supervise the upcoming parliamentary elections, be instructed to reject the nomination papers of the 11 parties targeted by the lawsuit. 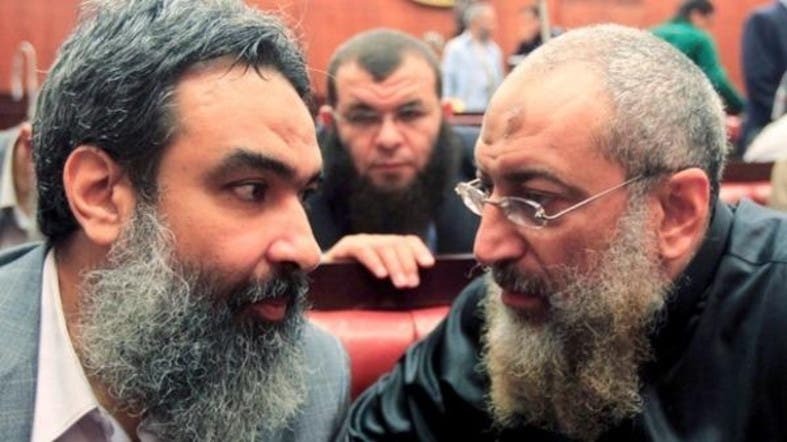 Mahmoud won an earlier lawsuit that banned Brotherhood members from taking part in parliamentary elections on the basis of its designation as a terrorist group. He later accused other religious parties of pledging allegiance to the Brotherhood. “Most leaders of those parties fled, or are detained for collaborating with the Muslim Brotherhood and inciting violence against the state,” he said. If those parties take part in parliamentary elections and win, the complaint said, Egypt will face “a serious threat” since they will exploit religion to achieve their goals and issue legislation that serves their agendas. The complaint says the threat is intensified by the fact that many of those parties still consider the June 30 protests that toppled Brotherhood rule a military coup, and so do not recognize the current government. Judge Mohamed Hamed al-Gamal, former chairman of the State Council, said religious parties should face the same fate as the Brotherhood since they have the same ideological reference. “Those parties don’t acknowledge borders and aren’t loyal to the nation, but rather to what they claim is the Islamic caliphate,” he said. Gamal added that there is no need for another court order to disband religious parties since there is already a precedent in the case of the Brotherhood. “The state, as represented by the president and the cabinet, should make a decision to apply the previous verdict on all similar parties,” he said. Gomaa said those organizations use community work as a pretext to take advantage of the religious tendencies of Egyptians in order to gain power. “That’s why the presence of these parties constitutes a grave threat to the fabric of Egyptian society and jeopardizes its unity,” he said. Shawki al-Sayed, professor of constitutional law, said the history of Islamist groups has long demonstrated the dangers of mixing religion and politics. “This goes back to 1948, when then-Interior Minister Abdel Rahman Omar exposed the crimes of the Brotherhood and highlighted the damage inflicted on the political scene as a result of the use of religion in politics,” he said. Emad al-Mahdy, former member of the upper house of parliament for the Nour Party, which is included in the lawsuit, distinguishes between a religious party and one that makes religion its reference. He argues that a religious party “would make religion an integral part of its platform and would, therefore, discriminate on the basis of religion.” This, he adds, is against the constitution and the principles of citizenship. “The Nour Party has since its inception been keen on not using religion in politics, and on demonstrating that it only takes Islamic law as its main reference,” Mahdy said. Emad Gad, analyst at Al-Ahram Center for Political and Strategic Studies, refutes the arguments of the Nour Party. “It was obvious in the performance of party members who won seats in the previous parliament that the party represents the organization and its discourse was always religious,” he wrote. Gad said the Nour Party’s eventual support for the June 30 protests was not representative of its members’ convictions. “The dispersal of the sit-ins resulted in the death and detention of more members from Nour than from the Brotherhood,” he said. The Nour Party’s participation in the toppling of the Muslim Brotherhood and its subsequent support for current President Abdel Fattah al-Sisi in the elections is seen as contradictory to the constitutional ban on religious parties and which is expected to affect Nour more than any other party. That is why the alliance between Sisi and Nour, which Washington Post correspondent Erin Cunningham calls “tenuous,” seems to have fulfilled its purpose and is not expected to last for long. According to Cunningham, the alliance between Sisi and Nour was mainly based on “a shared interest in eradicating the Brotherhood as a political force.” The power-sharing process that has followed is expected to be rife with challenges especially that Sisi is not likely to apply the strict version of Islam that Nour demands. For example, “Nour party has in the past proposed banning alcohol and revealing swimsuits on beaches, moves that would thwart government plans to revive Egypt’s tourism industry and promote economic recovery,” wrote Cunningham. In fact, when asked in a TV interview how the backing of Nour Party would affect his future dealings with the party, Sisi’s reply was quite straightforward. “Don’t forget that the new constitution, the drafting of which Nour Party attended, bans any religious parties,” he said, adding that he doesn’t owe anybody anything. However, political analyst Wahid Abdel Meguid said the article that bans the establishment of political parties on religious bases is not enough to evaluate the legitimacy of the parties in question. Abdel Meguid does not see disbanding parties as a solution. “The new law should ban the use of religious slogans and mosques in electoral campaigns,” he said. He added that the ban should not be confined to religious parties, since the National Democratic Party, which ruled Egypt prior to the Jan. 25 revolution, also used religious discourse for propaganda.